I just adore sponging and especially using our sponge brayers to make simple but elegant blended back grounds. I never tire of playing with colour combo’s so check back later this week for another vibrant sponged background. Doesn’t time fly because I have just got back from the latest Onstage where we were introduced to the latest In colours for 2019 to 2021 and the new 2019 Annual catalogue. Wow there are some fabulous new products, some of which I have been giving sneaky peaks of via Facebook and Instagram over the last 24 hours. I have another sneak peak showing the NEW In Colours just announced for 2019-2021 at OnStage!! Check them out below. They are stunning and I’m sure you are going to LOVE them! So don’t forget my Stamp-a-versary offers are still available? For every £10 you spend in my shop today and until 28th April you will receive an entry into my birthday draw. The prize will be one of the retiring Big Shots worth £102. Now who would like one? Is your Stampin’ Up! order less than £150? If so, use the current Reward Code below and receive a free gift from me along with other perks! 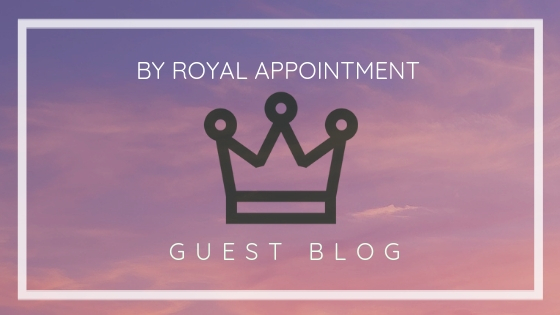 Thank you for joining us on this special day for our “By Royal Appointment Guest Blog” post. This is something we will be doing every Monday and each week we will be welcoming a different designer from our amazing team, the Royal Stampers. So this week our guest designer is Pip Todman from Ash. A huge thank you to her for this pretty project. All the details can be found below which will also link to Pip’s website so you can look at other beautiful creations by Pip. I am loving the lilac with Highland Heather and Blackberry Bliss today! What a yummy combination of colours! You could use any colour combination you like, but these are what I chose to use. Of course that’s not surprising since my favourite colours are purple and pink! It’s a cool combination that’s classy, but fresh because of the gingham and the little Bitty Bloom punched flowers! It’s pretty and I’m loving the lilac colours that are in the current colour families from Stampin’ Up! Next week we have Barry & Jay from Mitosu Crafts as the official guest blogger, so don’t forget to check in. If your order is over £150 please do not use the code as you will be your own Hostess and get your own rewards to spend! That’s free stuff that you get to chose. Categories: All Occasions | Tags: Card Kits, Crafty Little Minx, Fun, Made to Bloom, Punches, Stampin Up!, Thanks | Permalink. Crafty Little Minx – Happy Birthday to……………. Well no it’s not my birthday (that’s August!) but today it’s my Stampin’ Up! Birthday – I have now been a demonstrator for Stamping’ Up! for seven years! Wow so let’s celebrate with a happy birthday card. I’m also offering some super birthday celebration presents so be sure to read on to the end of this post. I just adore the climbing Roses stamp set. This time I stamped and coloured two with blends before using the coordinating Rose Trellis dies to cut them out. I then coloured the background to match the smoky slate card stock. Doesn’t it just make those flowers pop? The sentiment is die cut from the the beautiful Well Said bundle. I finished off with some black sequins. Voila! So what about those special birthday offers I was mentioning earlier? Place an order online today using the host code below. For every £10 you spend in my shop today and until 28th April you will receive an entry into my birthday draw. The prize will be a big shot. Now who would like one? REMEMBER you only have four days to pick up those last minute Sale-a-bration items before they are gone forever! I would love to be your demonstrator! If you would like to purchase today you can simply click on the icon above or any of these items below which takes you over to my online shop, where you can find more information and order craft products 24/7! 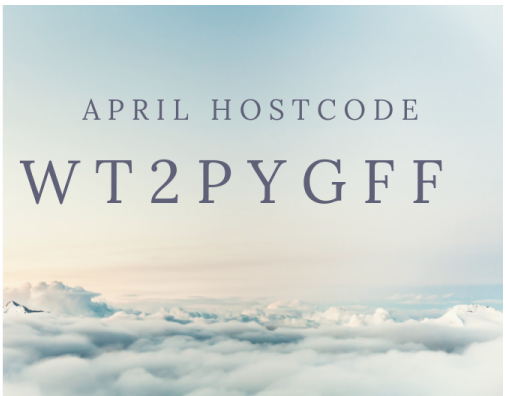 Please be sure to use the current Host code to receive a free gift from me in the following month. Here is a list of supplies I have used for this project. Categories: Big Shot, Birthdays, Card Ideas, Crafty Little Minx, Give away, Join | Tags: Birthday, blends, Climbing Roses, Die cutting, floral, Well Said, Well written | Permalink. Thank you for joining me on this special day for our first “By Royal Appointment Guest Blog” post. This is something we will be doing every Monday as each week we will be welcoming a different designer from our amazing team, the Royal Stampers. So I’m delighted to welcome our first guest designer, Lola Lorenz from Germany. You can see more of her beautiful work at www.stempelritterin.de. Enjoy the amazing creativity and post below from Lola and if you have any questions, please feel free to drop us a message. One of the things all of my friends know about me: I’m a self-confessed non-cook. But – and this is thanks to Mary Berry and the blue-eyed silver-back – from time to time I like to bake. My mental trick is to see it not as cooking but as crafting food. In addition, one can put crafting and baking very well together. By that, one can even make muffin tops look really pretty. Ok, maybe not the kind of muffin tops you get after eating the muffins. I’m talking about small, hand-crafted decoration on the muffins. I usually do that by stamping and punching the sentiment and then sticking them on a toothpick or longer wooden skewers with a coloured layer by using a hot glue gun. The sentiments I used can be bought in March (and only in March!) – I really love them! especially since the sentiments work so well together, front and back belong to each other. I hope you’ve enjoyed this fabulous project from Lola and if you have any questions, please do get in touch! I would love to hear how you would use this fabulous stamp set Next week we have our very own Queen Pip Todman as the official guest blogger, so don’t forget to check in. Categories: 3D items, All Occasions, Birthdays, Childrens crafts, Sale-a-bration | Tags: Cake toppers, Crafty Little Minx, Fun, More Than Words, Punches | Permalink. So the bit of news that I have yet to share is that I had the huge honour to present one of our new stamp sets last weekend. I have to admit it was slightly scary and hugely exhilarating to present to 600+ fellow demonstrators and peers. EDITED: just to note I was half way through writing this post when our modem blew up so everything is a little later than planned. Hopefully it was worth the wait! Luckily, I was the first to present so I was able to sit back and relax for the rest of the day! One of my lovely team members took these photos which were much appreciated, but I really didn’t realise how many faces I pull wen talking! Some of the photos were hilarious…….. and didn’t make the cut. The products I showcased were the fabulous Piece of Cake and the matching Cake Builder punch. Here is my Signature dish! The premise being that this is something simple to make which you can make over and over again with perfect results every time. Great for beginners or those new to crafting, yet still works for those of us that have everything but need a stunning card in a hurry. Next in the GBBO format is the Technical project and uses the Delightfully detailed laser cut papers to show that you don’t need a bug shot to make gorgeous cards. I used one of the sentiments to create the background and liked the fact that it wasn’t perfectly straight. My technical element was the embossed sentiment and cake. A perfect way for someone who doesn’t craft often to really wow the recipient. Don’t you just love it when the powder melts and creates that magical raised effect. Don’t know what I mean? Well this card will feature in my January TLC class. Check out my events page for more details. My final project was the wow finale or in GBBO terms the Showstopper. I’ve seen lots of wall hangings which capture birthdays, but I wanted something to remind me of all of the key upcoming dates when I would want to send a card. Weddings, anniversaries, births, christenings and birthdays. Well basically any occasion that you would want to send a card and celebrate with cake! I have posts scheduled for the rest of the week focusing on each of my projects and some bonus examples. So don’t forget to follow my blog so you don’t miss out! I had lots of fun presenting and Onstage is such a great event. We even get the opportunity to attend the live event if we wish. The live event this year was in Orlando with 6000 attendees. The next one is in Auckland and I hope to be going to the European one in Dortmund Germany next November. Click HERE to Join Stampin’ Up! for just £99. Choose £130 worth of product and don’t pay shipping! Plus 20% off until at least Mar 2019! WOW what an offer. Join my fabulous team the Little Mixes today or Click here to read all about us! Only 11 days left to secure this very popular suite of stamp sets, dies and accessories. The velvet paper has very sadly already sold out to. So don’t miss out click HERE to shop without delay. Categories: 3D items, Birthdays, Card Ideas, Onstage, standard, Wedding / Love | Tags: Birthday, Cake Builder Punch, Card Making, Cards, Crafty Little Minx, Easy project, Ombre, Onstage, Piece of Cake, Stampin Up! | Permalink. Onstage 2018 – what’s it all about? I often get asked why I became a demonstrator rather than stay a customer and initially I will be honest it was just for the discount. Nowadays I can tell you its most definitely all to do with the people that I get to share my passion with. Be it my wonderful customers, other demos, the larger team that I belong to or my own team of Crafty Little Minxes. It’s all the inspiration and creative sharing. Put simply I just love my job! Twice a year Stampin’ Up! hold an Onstage Event. This year is the 30th Anniversary of the company and the live event was held in Orlando with 6000+ attendees .In the UK local event over 600 demos descended on the Vox in Birmingham for the weekend. It’s a great opportunity to catch up with friends and make new ones. Here is a photo of my larger year the Royal Stampers that I had the privileged of sharing the day with. As you can see we have a little bit of a penchant for pompom’s and a little song!!! Honestly check out Facebook or wait until I’ve had a glass of wine if you don’t believe me! We also got the chance to see a copy of the new Spring/ Summer catalogue and boy the excitement in the room was electric. We can only show the cover right now, but if you have ordered from me in the last 6 months you will receive a copy in early January. Don’t worry if you haven’t, just drop me an email and I can send you one. Another benefit if attending is we get the chance to try out some of the products and get some of the products in our hands. There are also random Prize patrols of new products which is always very exciting. I had such a fun time and I will be back tomorrow with some more news. Think this is the sort of event that you would enjoy? Not sure? This is a quote from one of my fellow demonstrators Deb Cooper who has kindly allowed me to share her post this morning . 1) Go! OMG you have to see it to believe it. It’s amazing!!!! 2) Book a hotel asap for the next dates. 3) When it says what you need to bring in terms of tools etc, you really don’t need anything else… Unless you are desperate to use that wonder thing me pick up doodad. 5) Don’t be shy and hide yourself. Embrace the whoop, the cheer, the clapping. Be proud to be you. Stand up. Wave. Talk to anyone and everyone. 6) Bring swaps. They can be as simple or as complex as you like. Make more than you think you will need. So many inspirational ideas are now sat in my (huge) bag. 7) Bring your phone. Tweet, post, take photos, tell the world what you are up to. 8) As soon as its over start planning for the next one. I really couldn’t have put it better my self! Contact me for more details on how you could be at the next event in April. Is your Stampin’ Up! order less than £150? If so, use the current Reward Code up in the right hand corner and receive a free gift from me along with other perks! If your order is over £150 please do not use the code as you will be your own Hostess and get your own rewards to spend! Click HERE to Join Stampin’ Up! for just £99. Choose £130 worth of product and don’t pay shipping! Plus 20% off until at least Mar 2019! WOW what an offer. Join my fabulous team the Little Mixes today or Click here to read about us! Categories: Onstage | Tags: Crafty Little Minx, Fun, Join my team, Onstage, Stampin Up! | Permalink. Happy September. The sun seems to have made a reappearance this week and its inspired me to bring out all of my bright colours before I get into more seasonal projects. This project looks complicated but is easy peasy when you use the Stamparatus and the wreath technique. I will be back on Monday with a Facebook live showcasing this technique so jump on and like my page to see it first. The super cute little elephant is from the Little Elephant stamp set and it has an adorable coordinating punch which you can buy as a bundle and save 10% off the total price. It has some very versatile sentiments so can be used for loads of different occasions. I used mine for Swaps at training on my birthday weekend and they went down a storm. You may have spotted the corrugated daffodil delight mat which is a sneak peak from the new Autumn Winter catalogue. Check back Monday for more information. So do you fancy a day of chilled out crafting? I’m pleased to say that my next event on Saturday 6th October is now open for booking. Places are strictly limited and filling fastso contact me directly to book. Have you been waiting for just the right time to host a Stampin’ Up! party? Do you love gorgeous Designer Series Paper? If you said “Yes” to both questions, this may be the perfect time for you to contact me to book your event. What’s the occasion? Birthday, girls night in or simply some time out? Right now if you host a party with 275 €/£200 in sales, you will earn the exclusive Dashing Along Designer Series Paper for FREE. This offer ends on 30 September, so don’t wait! Get ready to take advantage of this exciting offer today! REDEEM YOUR BONUS DAYS COUPONS! If you’ve earned Bonus Days coupon codes in August, it’s time to redeem them! Bonus Days is the perfect time to check off items on your 2018 autumn/winter catalogue wish list, or purchase that big-ticket item you’ve had your eyes on. Hurry! You’ve got until 30 September to redeem your coupon codes! Learn more about earning and redeeming during Bonus Days here. Click HERE to Join Stampin’ Up! for just £99. Choose £130 worth of product and don’t pay shipping! Plus 20% off until at least Dec 2018! WOW what an offer. Join my fabulous team the Little Mixes today or Click here to read about us! Categories: All Occasions, Baby, Card Ideas, Techniques | Tags: Brights, Card Making, Crafty Little Minx, Fun, Little Elephant, Stamparatus, Stampin Up! | Permalink.